Yeah, it's still spring. And this book doesn't come out until summer... July 2008. I can still eagerly await, right? Good, cuz I am so ready for Dirty Girls on Top by Alisa Valdes-Rodriguez. Just want to see what's up with the characters over the past five years. This is a sequel to the mega bestselling Dirty Girls Social Club. So what are you reading right now? I'm still working my way through Seen It All and Done The Rest. Great book. My schedule and life right now... a little TOO packed and frazzled for regular reading. Funny overhearing a student this morning just outside my office... talking to one of her peers. "You ever had writer's block for six hours?" 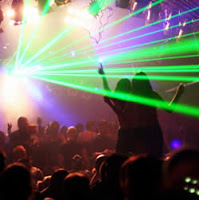 In my mind, I'm going HAHAHAHAHAHAHAHAHAHAHAHAHA. BLAHBLAHBLAHBLAHBLAHBLAHBLAH. "Ever had writer's block for six weeks or six months?" Why is writing book three more difficult than any other project I've worked on? I'm good though. How are you? When you don't call him, you realize your world doesn't fall apart. Even though it was hard... not to call. When he doesn't call you, you realize the world still turns. Even though what seems like rejection... hurts. That rollercoasters are for amusement parks... not emotions. You've made it through the weekend. It's Monday. And you finally got the courage. Courage by my favorite spoken word artist, Crystal T. Irby. Um, if you haven't added these to your own personal library... well what are you waiting for? The DL Chronicles is a fabulous television series on HERE!, and follows encounters and relationships with men who are in the closet. Very well written and tastefully done. I know you'd like. And Quincy and Deondray, the writers and creaters, are fabulous people. Dirty Laundry is a fun, serious comedy about what happens when a young man returns to the South from his life in NYC. 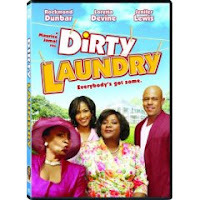 Some great performances by Loretta Devine, Rockmond Dunbar, and Jenifer Lewis. And Maurice, the writer and director, is fabulous people. OK. Back to your regular routine. I woke up super hungry. Thinking it'll be a Day I Ate Whatever I Wanted kinda day. It's 11 am. You normally wake up at, um 5 or 6... 8 is sleeping in. You've got things to do. Or things you want to accomplish. He's still not up. It's the morning after. Is there a nice way to wake up sleepyhead and get him on his way, while still acknowledging him for a fun time had by all? One of those morning after mysteries you don't think about the night before. It seems like that's all I'm doing lately. Like a robot. But I love it. Being busy. Better than being not busy. Haven't read or written majorly this week. Hooked on someone... nuff said, ya know. Bad, bad habit. Speaking of working overtime, remember Diana Ross' Workin Overtime from the early 1990s? Cute video. It's been one of those I May Hate Myself In The Morning weeks. Um, but onto other things... like summer and cocktails and Dirty Water. I'm late on things... had heard friends talking about Dirty Water drinks. Finally found a recipe online... and it does look dirty and delicious. 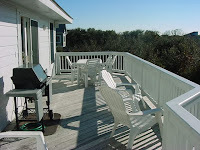 Sure to cause more of those late night phone calls or texts Lee Ann Womack was singing about in that video clip above. That map is pretty scary... and says a lot about who needs to (and can) win where in order to seal the deal in November. I think in California, we sometimes take for granted the relatively progressive, liberal, blue state way of life. I say relatively because there are pockets of folks here in Cali who want to return to the "good ol'days," when "'Messicans' were maids, not mayors," and when "Blacks were property, not property owners." So I use my job at the university to help my students see and hear what "the other side" is thinking. And I'm soooooo excited to bring them this film. A documentary featuring real people from Red States, sharing their opinions on liberals, minorities, women, the right to choose health decisions, etc... This stuff, I want my students to see... so they know how the rest of the country views progressive people from relatively progressive states and cities. These folks don't hold back how they REALLY feel... something I think my students need to educate themselves on. Beyond the clothes, music, dorm life, and friendliness, how are the people they hang with REALLY feeling or thinking about them. The documentary is quite sad, funny, makes you cringe at how some Red State folks think. Makes you wonder about the perceptions people have of supposed elite, educated, creative/Hollywood liberal types in Blue States. I'm open, but not open to ignorance... and you hear a little of it in this documentary. Well, a lot. Anyway, if you're in a position to get Red State, it could be eye opening for you and the people around you. I love writing my novels and articles, but politics and opinions and ideas make me really excited too. Why do I love Clay Cane so much? Because he takes us back down memory lane with cool blog posts like this one about singer Tracie Spencer. OMG. How had I forgotten about Tracie Spencer... Tender Kisses... until reading Clay Cane's site this afternoon. Oh. But then I had my own back down memory lane moment. 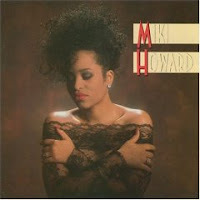 Found an old Miki Howard CD and now blasting Love Under New Management. Here's a video performance on a Dionne Warwick show: Love Under New Management. With the number of regular everyday people getting plastic surgery growing, it's only natural that someone would create a children's book to help kids understand why/how mom or dad looks different. 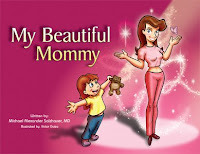 My Beautiful Mommy by Dr. Michael Salzhauer is targeted at kids whose parents, specifically moms, are changing their look through surgery. The intention is to reassure and calm kids' fears. Heard a bit about it on NPR this morning. Lots of other good press too, including a story in Newsweek about the book and plastic surgery for parents. The book is scheduled for a May release... just around Mother's Day. Does It Make Me A Puma? Talk about taking a page out of Kenny's life in Right Side of the Wrong Bed. I've got it bad for a lad of 21/22 years old. Got me playing Mary J. Blige (#6 on Growing Pains, Hurt Again) everytime I think of him. That line about trying to act like he doesn't phase me is SOOOOO true. Now I get what everyone says about Mary's lyrics and how she speaks to the heart and experiences of so many people. One of my friends, who's in his late 30s (maybe early 40s, it's L.A.), always jokes, "Ain't nothing a 40-year-old can do for me..."
Is that us perpetuating ageism in the LGBT community? Are all the guys in their 30s and 40s off the market, settled down, jaded, no longer interested in fun and living? Or are "Pumas" and "Cougars" going through something similar to a mid-life crisis, trying to re-live the 20s, be who they/we weren't in our 20s? Is it worth critiquing or noting that the only guys stepping to me and my circle of friends are in their early-to-mid 20s? Still the same game, but with a 2008 twist on the lines. Or are we just dirty, flirty 30s men? Hmmm. Deep thoughts. And it's Friday... and I'll probably run into my lad at some point this weekend while me and my friends are out on the town. Just love how some of my favorite artists who started in the 80s are still rocking the mic and making the dance floor fun for the kids born in the 80s. Kylie Minogue In My Arms. Janet Jackson Rock With U. Got me dancing around my office and bedroom like I'm Ellen or something. They're my motiv80s ladies. A friend of a friend has a dilemma on his hand. He started dating a dude just before the New Year holiday. They just broke up this weekend. Problem is... he tatted his new date's name on himself on Valentine's Day. Actually, they both did. Painful to begin with. Now, he doesn't want to go through the pain of having it removed. It's interesting how dating and love express themselves among the 80s/tech generation. Of course, tatting someone's name on yourself is old as Earth. But, now folks (especially young ones) are flirting/courting with naughty pics and dirty texts on their cell phones, or showcasing their "skills" on various dirty-birdy sites to attract someone. I guess no one's worried about the surprise of a background check... or finding oneself online in a compromising situation. Or the pain of removing a reminder of tatted love. It'll be a rare quiet day at the office later... a perfect day to plot out all my days off and vacation days for the rest of the year. I usually do it all at once... random Mondays and Fridays... the holidays... vacation time, even if I don't know if there's a destination or not... secret vacation time, when I don't let my friends or family know I'm taking off from work. So if your HR allows you to, get ahead of the rest of the pack and get in your requests now... before everyone else tries to get the long 4th of July weekend! For all you book lovers in L.A. The L.A. Times Festival of Books is coming the weekend of April 26 and 27. I'll be there... as a consumer, not an author. Should be fun. It was a phrase I used to hear from my parents or grandparents, when someone in our community (or family... you know THOSE cousins, lol) did things with a little less finesse than expected: they just didn't get any good home training. Whether that's classist/elitist or not, remains to be discussed and pondered on. But, I think many of us grew up with a sense of right and wrong; the proper way to get things done, and the way that makes people not want to work with you. And a lot of kids coming up don't seem to get (or remember) it. Well, for the new generation that may not have gotten the same "home training" comes a book I recently discovered. 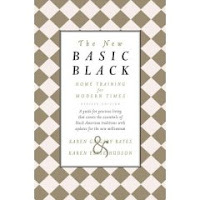 The New Basic Black: Home Training for Modern Times. It's written by Karen Grigsby Bates and Karen Elyse Hudson. It's described as a guide for gracious living that covers the essentials of black American traditions with updates for the new millennium. An interview with the authors is here on this NPR interview. A profile of one of the authors. I recently got a copy and am loving it. Reminds me a lot of what my parents and grandparents taught me... without officially teaching me, you know? Definitely a must-buy for many of our libraries and personal collections. Lambda Finalists Read Across The U.S. In celebration of the 2008 Lambda Awards, which take place in West Hollywood on Thursday, May 29, there will be a series of readings featuring some of this year's nominated finalists between now and the end of May. There's something for everyone in cities across the U.S. (I'll be doing the West Hollywood reading on May 8 at A Different Light). And if you're interested in going to the ceremony in WeHo, click here for ticket details... we all would appreciate the support. For complete details, times, and locations, visit the 2008 Reading Series. It seems like we ALL live lives where we restrict ourselves in one way or another. We refrain from eating certain foods or skip meals all together... for whatever or WHOever. We question our appearance and acceptability in others' eyes. We doubt our own worth and abilities and what we have to offer. And that's all before even leaving the house to face the world in the morning. Toss in gender, ethnicity, age, weight, and class, and... imagine! So when I heard about this book, The Day I Ate Whatever I Wanted: And Other Acts of Liberation, I cheered out loud. 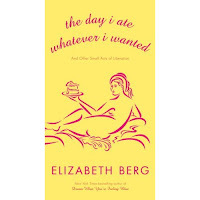 It's a collection of short stories by Elizabeth Berg. The opening line of the title story is fabulous: "I began at Dunkin Donuts. I hadn't gone there since I started Weight Watchers a year ago." The character goes on to describe, in great and fun detail, a day long binge. And even with additional short stories that focus on exes getting over you, sacrificing for kids, and dating after age 50, these stories all share a common thread. The stories all end in liberating ways for the characters. Sounds like a fun, positive read to add to the spring book list. 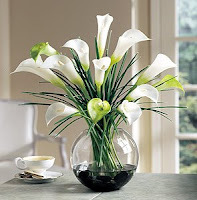 Maybe something to share with a mother-figure in your life for the coming holiday. Maybe something to inspire you to spend a day eating whatever you want! One of my biggest regrets is that I didn't appreciate the work of Octavia Butler until just a few months before her death in early 2006. For some reason, and don't think me weird, B.B. King came to mind. That's what's playing in the background now. I always think of my parents and their older relatives, and how when B.B. 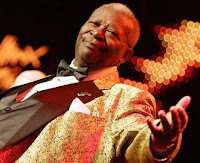 King came to town, it was/is a BIG deal. They got all excited about a night out to see him. Everyone tells me that since I'm a huge Diana Ross fan, that I have to see her live once. Can't believe I haven't. I agree everyone should read Kindred by Octavia Butler. Excellent work. Everyone oughta experience New York City at least once... and ride the subways. Brooklyn is a favorite of mine... still haven't hit Harlem. Sushi should be experienced at least once... I'd do it everyday, to be honest. Love me some sushi. And not just California rolls, lol, though those are good too. What's on your "Oughta see... read... hear..." at least once list of recommendations? Sad remembrance and day for the U.S. and the world-- the 40th anniversary of Dr. Martin Luther King's death. I wasn't even born. But somehow the legacy of Dr. King's work influenced a lot of my upbringing in family and school. There was always a standard to live up to, something to strive for, knowing we have to work and study hard, striving to do better than the generation before, and that we have to role model for those who don't have anyone to look up to... because it was all about making our community, the black community, better. 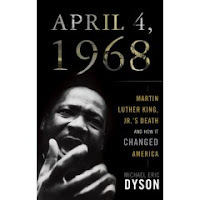 Michael Eric Dyson, a visible and respected academic and commentator, has a new book out on the MLK legacy. April 4, 1968: Martin Luther King Jr.'s Death and How it Changed America. I think it's worth checking out and reflecting on. Remember Yaya, America's Next Top Model? Yaya is starting a new acting gig. Angie's daughter on All My Children. Read the story here from Daytime Confidential. That's good scoop. And nice to see a daytime show adding to its cast characters of color. Been a little busy on the trip to Atlanta these past days. More in a bit on that. Back in L.A. finally. Got a lot of work ahead of me... lotta decisions to make about other people's futures. Discovered a new little treasure of fun(ny) books by author Celia Rivenbark. When I saw Stop Dressing Your Six-Year-Old Like a Skank at the bookstore counter, the title caught my eye and made me laugh. It's a collection of short essays on modern life and some pop culture. Rivenbark has a couple other titles, and an online column, that might interest you. We're Just Like You, Only Prettier. And Bless Your Heart, Tramp. Cute titles. The kinda phrases my friends and I exchanged during this conference and our after-conference activities these past few days. I'm clubbed and Grey Goosed and all-nightered and networked out. But life and work continue. Gosh, does the work continue... Rihanna's Take a Bow will get me through it. Hot song!